I'm Harvey Bruce. 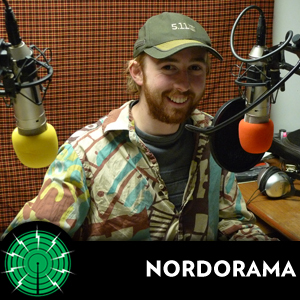 Nordorama is, admittedly by default, the premier Nordic music show in London - dedicated to uncovering artistic innovation and tradition from this incredibly diverse and creative portion of the world. Be it Icelandic electro, Norwegian avant-garde or Finnish folk-rock, I'll spoon it into your hungry ears. There's an image.